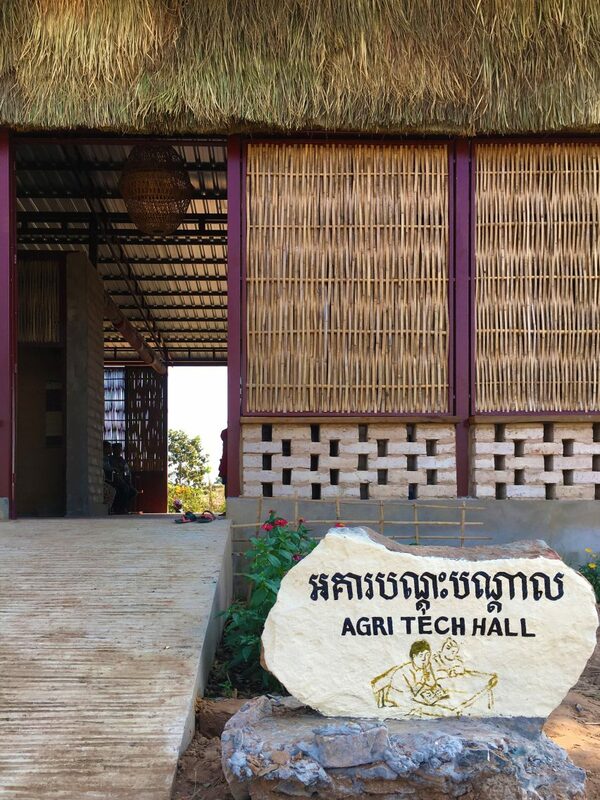 Advanced farming techniques will be taught to 50 students at a time in the Agriculture Technology Centre, designed by Squire & Partners and SAWA in Krong Samraong (Oddar Meanchey), Cambodia. 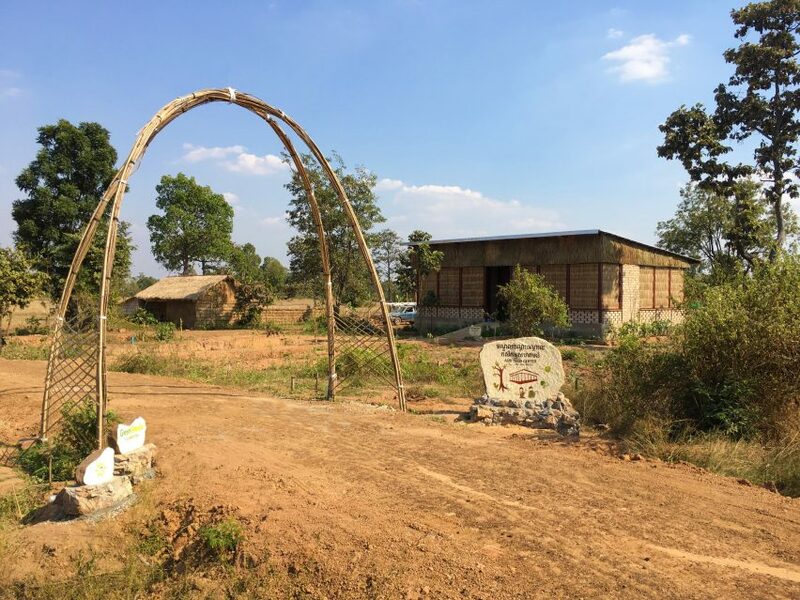 The school, which is built from locally sourced materials including mud bricks, cassava render, and bamboo screens, will provide further learning for students from a network of 40 primary schools established by the Green Shoots Foundation. It was constructed over a four-month period by contractors, farmers and volunteers from the UK. The Green Shoots Foundation approached Squire & Partners to design the school, as the project needed more of an architectural input that the previous centres it has delivered. The firm collaborated with architectural collective SAWA, which has experience designing schools across Africa and Asia. “A friend set up the Green Shoots charity – we’d been helping to raise money by sponsoring 10k runs – but for this new project he needed an architect and approached us,” explained Tim Gledstone, partner at Squire & Partners. Keen to create architecture that was appropriate to its context, the architects initially looked to local timber houses to determine the form and materials of the school buildings. 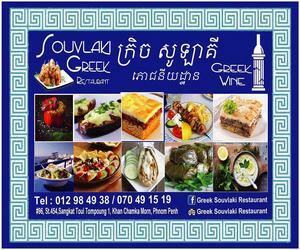 “This was in fact our second design for the project. 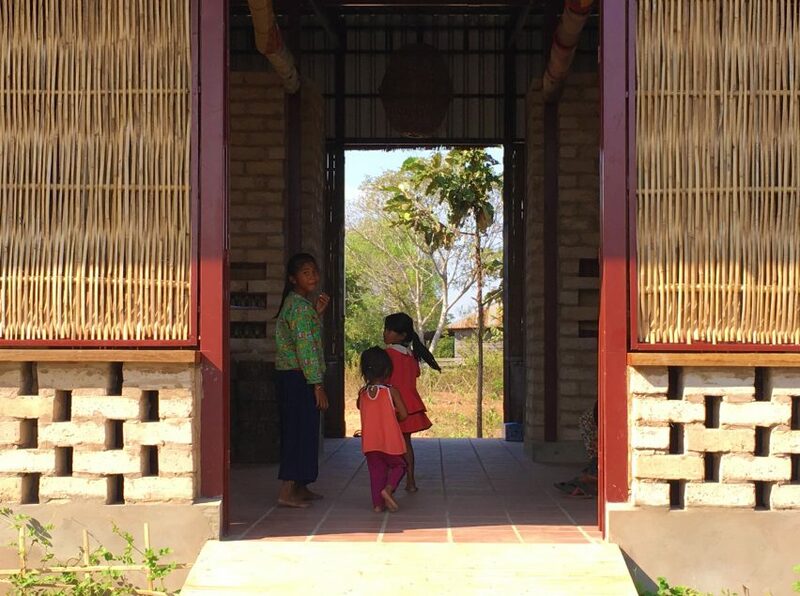 We initially took inspiration from traditional timber Cambodian houses, but the timber used had become relatively scarce and therefore expensive – more than twice our budget – so we needed to rethink,” said Gledstone. 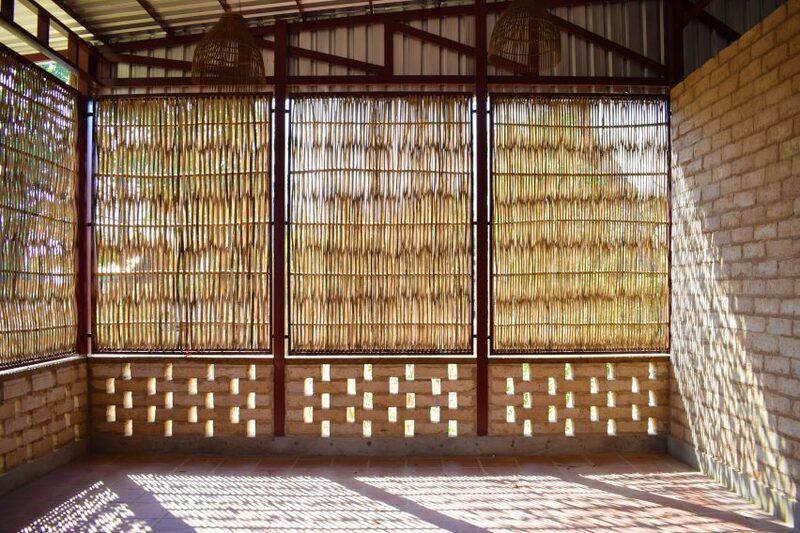 “It’s important with every project we undertake – whether in the UK or Cambodia – that our designs create something appropriate to context,” he added. 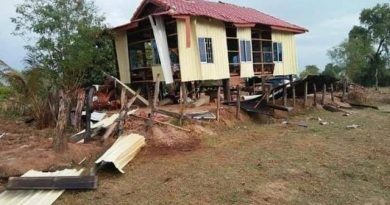 In this case, the team determined that working with a local metal contractor in combination with locally available materials, including blocks made from the mud on site, would create the most appropriate solution. 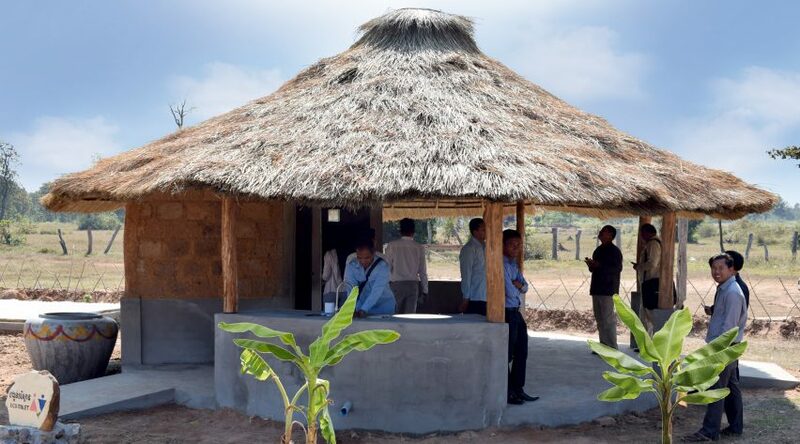 The main school building is constructed with a simple metal frame that has a corrugated steel mono-pitch roof. 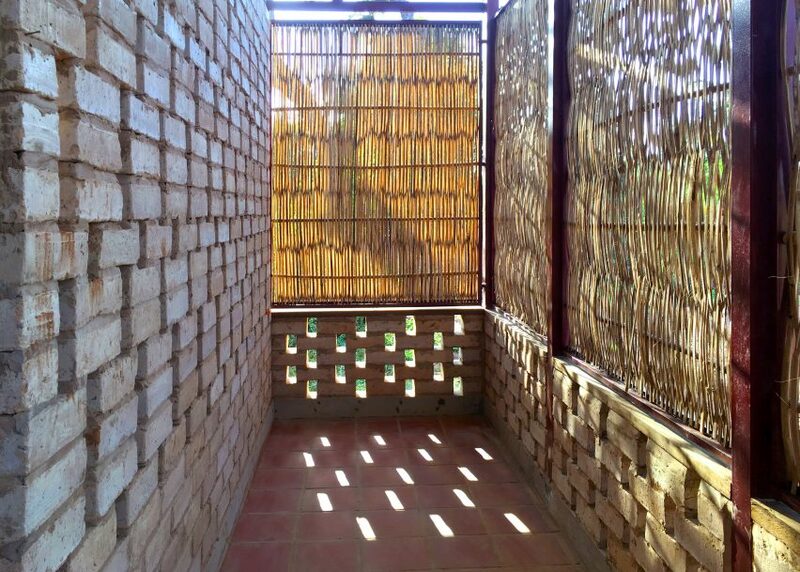 Walls are constructed from a combination of reddish coloured mud blocks and woven panels made from bamboo. 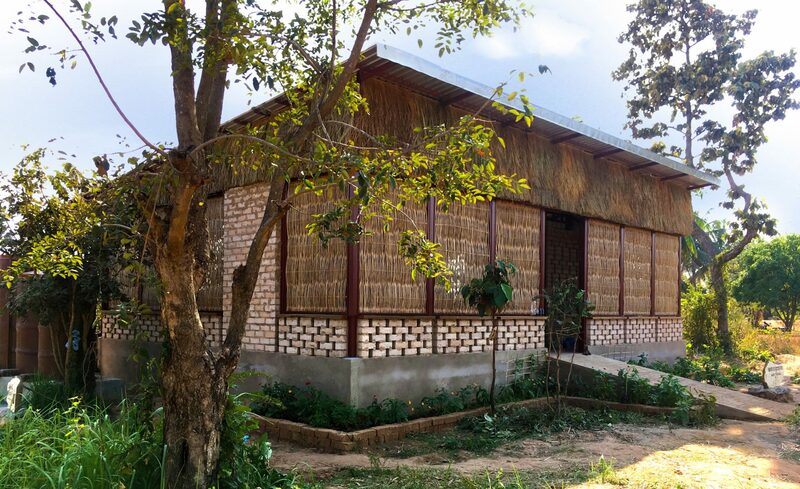 “The building we delivered has tapped into available resources and skills, using local materials such as earth, rice husk and cassava render alongside collaborations with local metalworkers and weavers,” continued Gledstone. 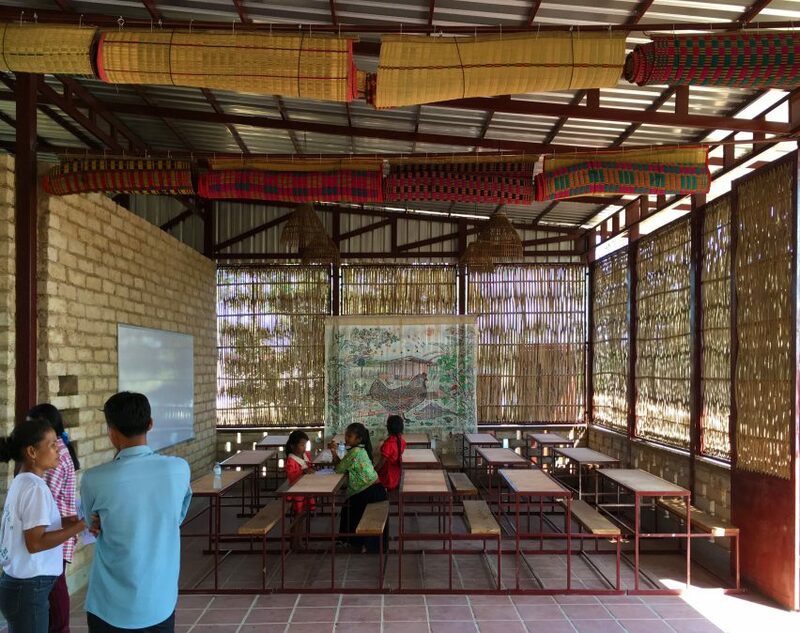 Internally the main teaching space can be divided into two classrooms using woven grass screens made by a local women’s cooperative that can be rolled up and stored on the ceiling. 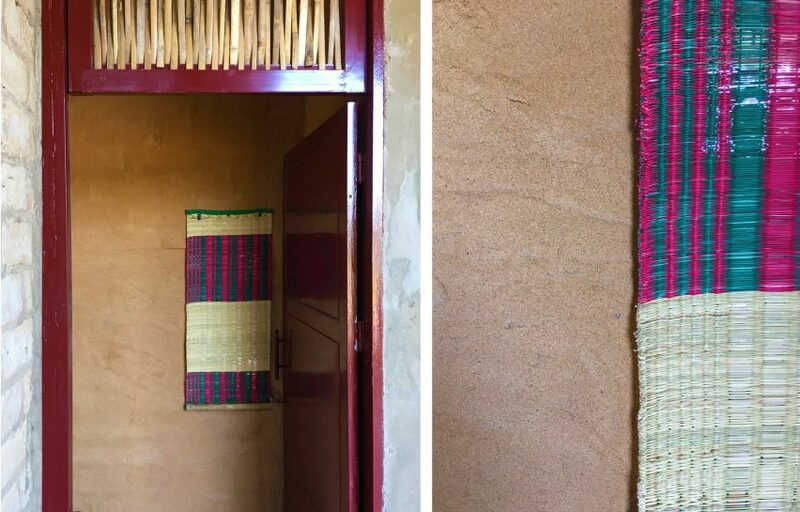 Blinds are made from grass mats, while bamboo fisherman’s baskets are used as lampshades. The building also has an enclosed office and store on either side of the central corridor. Squire & Partners and SAWA designed the building to provide a safe and comfortable teaching space for the children. 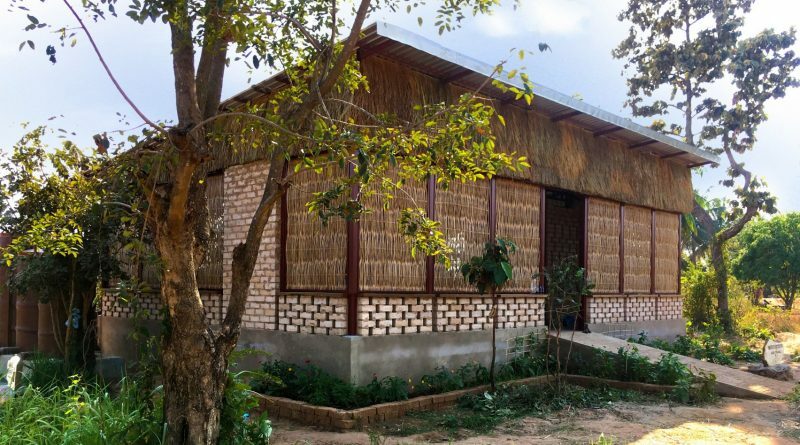 The classroom is raised to reduce flood risk, while gaps in the bricks allow air top flow through the space, and the bamboo screens diffuse the sunlight. “We’d seen many classrooms built in Africa and Asia which were dark and or stiflingly hot – a priority was to create a light and well ventilated space,” said Gledstone. 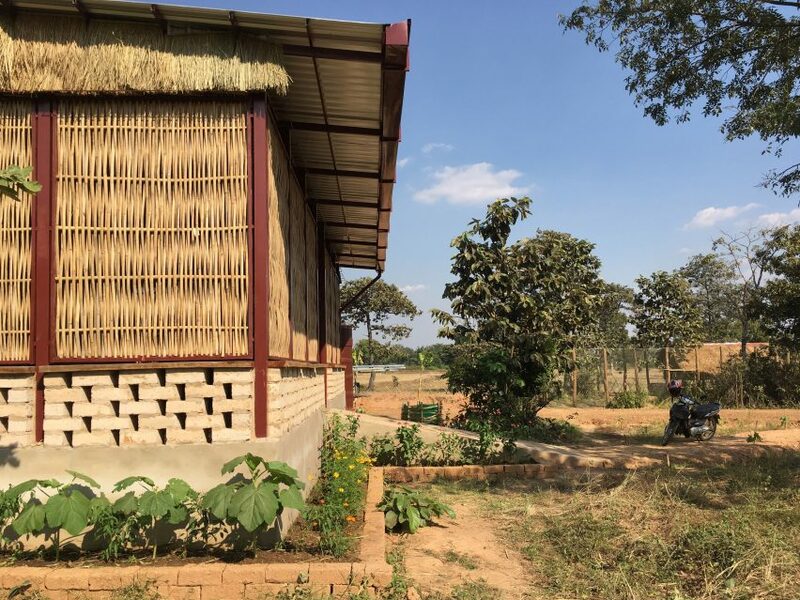 Along with the main classroom building, phase one of the site’s development also included a block-making building, an entrance arch, a biogas-toilet with a spiral bamboo roof, a chicken roosting house, and a water catchment and filtration system block. 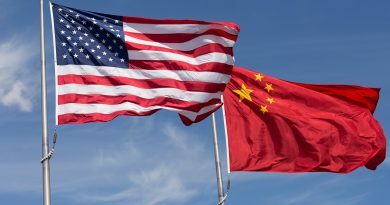 The Green Shoots Foundation plans to expand the site by building further classrooms so that a total of 200 students can be taught at the school. Although the school has been designed and built to be economic as possible, Gledstone believes the buildings still have architectural merit. “In my view the best architecture comes where each material is allowed to do its job, along with an attention to detail and commitment to joy. 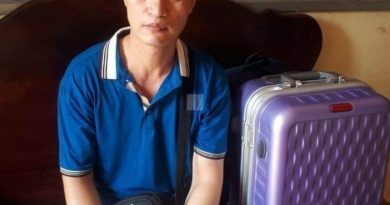 If you follow these rules, the quality will follow,” he said. The whole process of designing and building the school took six months. 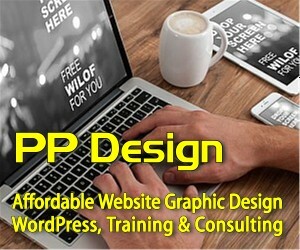 “The short programme has been great as we get to quickly see the benefits architecture can bring. Usually buildings we design take four to five years to realise, but this was completed in six months,” added Gledstone.